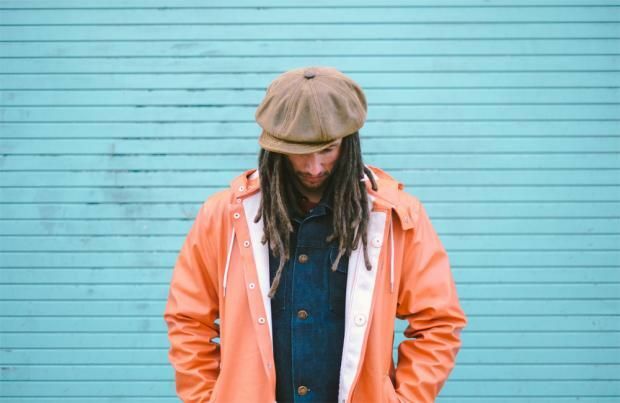 JP Cooper has made the MTV Brand New 2017 with MTV UP! shortlist. The singer - most famous for his collaboration with Jonas Blue on global hit single 'Perfect Strangers' - has been selected as one of the finalists of the annual competition which predicts who is going to make a big impact in the music business in the coming year. Cooper is joined on the list by AJ Tracey, Bishop Briggs, Disciples, Nadia Rose, RAYE, Ray Blk, Stefflon Don, The Amazons and Tom Grennan. Speaking about the artists who have been chosen, Anna Karatziva - Head of Talent and Music at MTV UK - said: "MTV Brand New is one of our most exciting and rewarding campaigns of the year. It's been incredibly tough whittling down the list, but we can't wait to support and work alongside our finalists over the coming year." Last year's MTV Brand New winner was Anne-Marie who has had hits with Rudimental on 'Alarm' and Clean Bandit and Sean Paul on 'Rockabye' - which is currently number on the UK singles chart. Anne-Marie, 25, admits getting the accolade changed her life and she can't wait to see who is chosen for 2017. She said: "Winning MTV Brand New 2016 was an amazing experience. My fans voted so many times and I'm so grateful for their support. I think my biggest fan was granddad though who I think voted about 5,000 times. Since the announcement, MTV have been continuously supportive through the year - I've performed at their Crashes events and even opened the EMAs red carpet in Rotterdam. It's a great campaign to discover new talent and I'm so looking forward to see who's in the running for 2017!" Previous MTV Brand New campaigns have also revealed the biggest breakthrough acts of 2014 and 2015, such as James Bay, Years and Years, The Vamps, Krept & Konan, George Ezra, Sam Smith and Ella Eyre. Selected by MTV officials, key music influencers and industry representatives, the shortlisted acts will go head-to-head in a public vote on social media in January.